Back from Vacation.What a great time spent with family! Unfortunately no reduction to the Stash this week, only some additions. 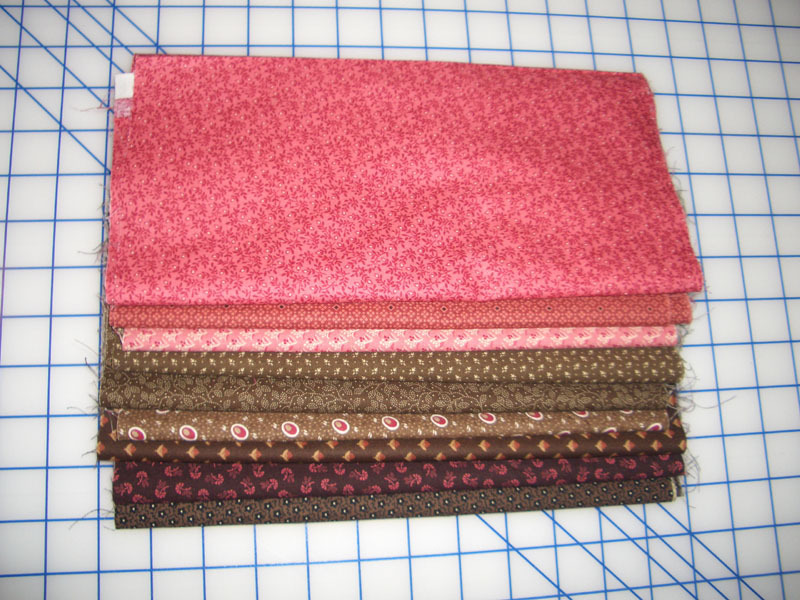 I found a few more pink and brown fabrics for the Dear Jane Quilt, along with having to buy more fabric for a quilt backing. So all in all I added 7.5 yards to the stash. Hope to work some of that off soon!! So here are the numbers. How did you do this week? Check out all the other reports at Patchwork Times. Purchased this week: 7.5 yards. 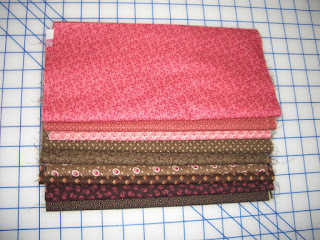 Neat fabrics, I always love brown ad pink! So funny...I'm looking at your pile and saying "I love those" and then I realized that I have most of them! !